Automatic driving Instructor in Cleckheaton,Heckmondwike,Morley. 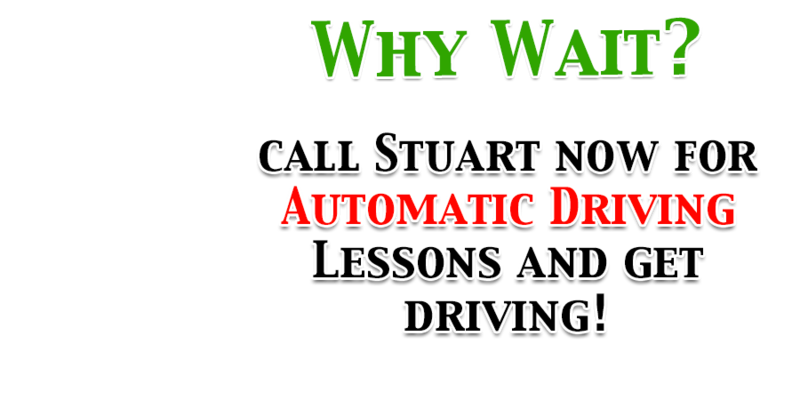 Good Morning from Stuart the Automatic Driving Instructor, As an automatic independent driving instructor in Heckmondwike and Cleckheaton, I can provide a high quality of training with Automatic lessons tailored to the individual pupil so you can be taught at the best pace to suit you. I teach with a calm and patient manner which puts even the most nervous pupils at ease very quickly. I offer high quality automatic driving lessons in and around Heckmondwike, Cleckheaton, Brighouse, Birstall, Liversedge, Birkenshaw, Drighlington, Hipperholme, Mirfield, Dewsbury, Wyke, Gomersal, Batley, Oakenshaw and Roberttown. Whether you are a complete novice getting behind the steering wheel for the very first time, or a more experienced learner who has already had a number of automatic driving lessons or even have a full licence but want to top up on your skills and confidence, Rev and Go Automatic could be who you´re looking for. Pupils who book driving lessons with us get FREE unlimited use of Theory Test App, an on-line study site for both the multiple choice questions and hazard perception test practice videos. In addition to the standard Automatic Driving lessons in Heckmondwike I offer, Pass Plus, Refresher and Motorway lessons. * Automatic Driving lessons Heckmondwike | Cleckheaton | Birstall | Hipperholme | Morley | Liversedge | Birkenshaw | Drighlington | Mirfield | Gomersal | Wyke | Oakenshaw | Roberttown | Rastrick | Batley | Dewsbury.